This is seemingly an easy question – how do you get a website built, ask a web designer, right? You’re not the expert, so it’s fine to not know the details – and it’s fine to not care how it’s done, because that’s not your area of expertise. You should however be clear on the features it should have, and what you want it to achieve. For example. Do you want the site to just be a ‘business card’ type website? Maybe a fairly simple single page that says what you do, who you are and where to find you or contact you. That might be enough if you are just starting out, or have no competition at all in your field. If you’re a plumbing company or an electrical installer then you probably want to go bigger than that. You probably want different pages to explain each of your key services. You may want pages or a blog to be able to write about successfull jobs you’ve completed. You’ll want a contact page, an about us page etc.Or maybe you want to be able to sell your products online, so you need some kind of store or shopping cart setup. A good web designer will be able to guide you on all of this and a lot more. It will help greatly if you can think about it in advance though, and note down the features your new website needs to have. One neat way to do this is to look at your competitors websites. See what they do, what you like and don’t like and think how you could do better than them. One of the best ways is a personal referral. Ask business contacts who did their website – as long as you like their site that is! If it was done recently make sure it loads quickly and that it looks good on your phone as well as on a laptop. If it doesn’t, that’s a big red flag these days. Half of all website visitors use their phones so any website built in the last 5 years should work well on a phone. This shouldn’t cost extra either – this is now the standard all decent designers work to. You could also try local business networking groups (like BNI for example) to find a designer. Just beware the shiny suited salesman – web designers tend to be introverted techy nerdy types, so if that’s the kind of person you’re talking to then you’re probably talking to the person who really knows what they are doing. If all you’re getting is sales pitch and hype then that person is just the salesman who probably knows very little about actually creating websites! Also don’t be afraid to just find a designer online. You should look at the design companies website anyway – it is their storefront after all, so should look good and function well! Everything can be done remotely by email, this really isn’t a process that needs hours of sit down meetings. Trust me, those introverted tech types I mentioned above – they don’t work well that way anyhow. Look for a design company that also provides ongoing support for their customers (e.g. like these guys do). A website is not a one-shot deal, it’s a serious business tool that can produce a huge ROI. So you really want someone to look after it for you (unless you’re lucky enough to have a proper techy on your team). You want someone who can keep the site updated, secure and properly looked after. Someone who can also do those quick updates on it for you – you really don’t want to be wasting time looking for a new designer every time you want to make a small change, that’s a serious waste of time and energy. I’d also recommend getting them to take care of the web hosting side too if possible. Hosting is a pain, it’s highly technical, very easy to break things and just not something you want to be messing around with. 3. Why Not Use a Tool Like Wix? It’s not the only one, there are lots of ‘build your own website’ tools like ‘Wix’. They sound amazing. Honestly though, unless you have years of design and web marketing experience they aren’t much use! 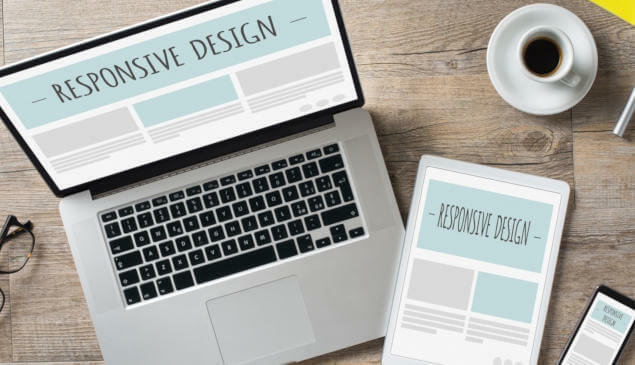 Just like any tool, there is a real skill to making a website look good and work well. You can service your own car, and do your own bookkeeping and accounts… well you can, but it’s just not a good use of your time. You’re an expert at your business – not a web designer, internet marketing expert and all round techie nerd all rolled into one! There’s a lot more to building a website that really works than just banging some text and images on a page. Six months down the line you’ll realise the mistake of designing it yourself and end up building a proper website anyway! This is something you want to keep an eye on, but not micromanage. Typically, once you’ve decided who to work with, they will send you some kind of fact finding questionnaire. It will be a bunch of questions about your business and what it is you are hoping to achieve with the website. Do take some time on this to get the best bang for your buck. Once they have an understanding of what you want, the designers will draw up some kind of proposal which should spell out what they are going to build. Do check this over carefully and make sure you are getting what you want – making changes later will bump the price up! You can expect to pay at least half of the cost up front. For smaller projects you’ll probably have to pay everything up front. Web designers have different ways of doing things of course, but this is the general process. If they don’t plan to, then I would ask to have a look early on at the design, just to see that things are progressing and that you like the direction it’s taking. It’s much easier to redirect a build in those early stages than waiting until they’ve finished and then saying “I don’t like it”! Once the design is finished they should let you review it completely before it goes live. Look it over carefully before giving your sign off. This is not the time for big design changes, you’re just looking to make sure the site works as it should, the links all work, and really important stuff like your phone number and address are correct! That’s it. That’s how you get a website designed and built without going down any crazy wrong alleys, without any major surprises and with a very strong chance of a successfull outcome.